Call 603-569-9599 now for more information and to get your free,no obligation, wrongful death case evaluation! At the Law Offices of Paul M. Monzione P.C., of New Hampshire, we help families that are going through the hardship of losing a loved one. Attorney Monzione and the affiliate lawyers that work with him are compassionate and understand how difficult it is to lose a loved one. Our goal is to ensure that our wrongful death clients are not burdened with the strain of litigation. We therefore do our best to develop and present evidence as well as demonstrate the value of your loss so as to ensure a swift and successful outcome. Wrongful death actions are usually filed where the negligent action or inaction of one person leads to the death of another. 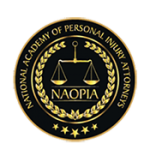 Typically, wrongful death actions arise from drunk driving accidents, medical malpractice and defective products. In a wrongful death action, the family member of the deceased seeks compensation for the loss of love, companionship and financial contribution that was enjoyed from the deceased person. No amount of compensation will replace the value of a loved one’s life but at least it will help to cover the funeral costs and provide the financial support you may have received from your deceased loved one. 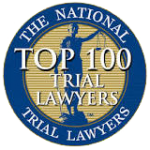 Proving wrongful death cases can be very complex and challenging. Choosing the right lawyer is the first step in obtaining the justice and outcome you deserve. Attorney Monzione’s experience and success over the years has earned him the reputation of being a very well known and respected wrongful death lawyer not only in New Hampshire, Massachusetts, and California, but in many other parts of the United States of America as well. For more information on how we can help you with your wrongful death claim, please contact us and we’ll be happy to answer all your questions.